The agreement will make Beijing-headquartered CITIC the Canadian miner’s largest shareholder, with the proceeds of the deal going towards base and precious metals projects in Africa. Chinese mega-conglomerate CITIC (HKEX:0267) is set to become Ivanhoe Mines’ (TSX:IVN) largest shareholder with a 19.9-percent stake, leapfrogging Executive Chairman Robert Friedland. In a C$723-million deal, the resources-focused branch of the Chinese company, CITIC Metal, will receive 196,602,037 common shares through a private placement at a price of C$3.68 per share. The news, which was announced Monday (June 11), makes Beijing-headquartered CITIC the Canadian company’s largest single shareholder, with Friedland now in second place with a 17-percent stake. Friedland will also become a co-chairman alongside a CITIC-appointed co-chairman. 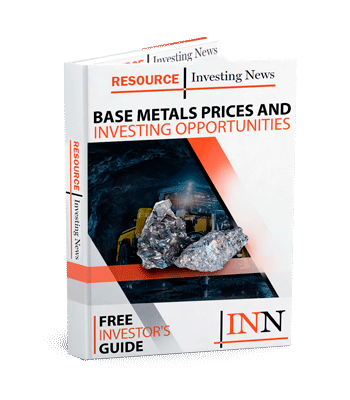 According to Ivanhoe Mines, the proceeds will help advance its three major projects in Southern Africa, which are its Kipushi zinc-copper project in the Democratic Republic of Congo (DRC), the Kamoa-Kakula copper project — also in the DRC — and the Platreef platinum-group metals project in South Africa. An anti-dilution agreement with another Chinese stakeholder, Zijin Mining (HKEX:2899), could see another C$78 million in proceeds thrown into the mix through a concurrent private placement. Zijin Mining holds a 9.9-percent stake in the Canadian company, and is an equal partner in the Kamoa-Kakula project with a 39.6-percent stake in the asset. Friedland said that the agreement with CITIC means that the projects being developed will have a more secure future as the companies have a 15-year history together. 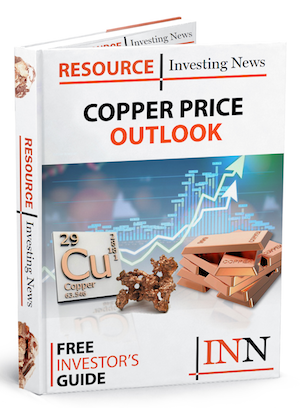 “In 2003, the original Ivanhoe Mines was grappling with the challenge of developing its vast copper-gold discoveries at the Oyu Tolgoi Project in southern Mongolia,” he said. “Following extensive discussions, Ivanhoe and CITIC established a strategic alliance to … pursue a number of selected common interests in metals production and related technologies,” he added. “Together with existing shareholders and stakeholders, and by employing best international practice, we will achieve the gold standard for Sino-Canadian companies, resulting in a partnership that will benefit the people in the Democratic Republic of Congo, South Africa, China and Canada,” said Sun. Sun is expected to share the role of chairman alongside Friedland on the board of Ivanhoe Mines, with both holding the title of co-chairman. Under the deal, the board will be expanded to 11 members, with two appointed by CITIC (including Sun), one of which will be independent. CITIC will also hold anti-dilution rights, and according to the release will begin arranging project financing for the Kamoa-Kakula project. While the deal will take up to four months to close, in the meantime CITIC has agreed to provide Ivanhoe Mines with a C$100-million loan to go towards advancing its projects. On Monday morning, Ivanhoe Mines saw a 10-percent spike in its share price on the Toronto Stock Exchange, but that softened to 4.69 percent as the day wore on. The company’s share price is currently at C$3.35, up from Friday’s (June 8) close of C$3.22.